It's been awhile since I've been to the mall. Personally, I'd prefer staying at home like the whole month so I could save myself from splurging but oh holiday comes and the sales are on! 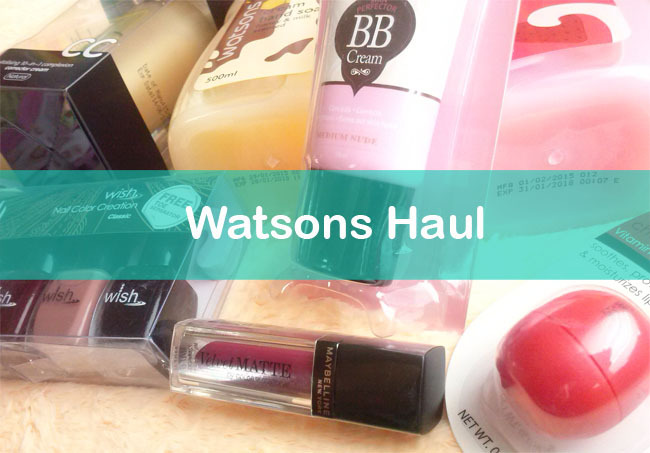 And when it comes to beauty products, Watsons is always my first stop. I love that they have everything from makeup to skincare. The holiday sales are starting so of course, I had to check them out. There are some new brands (or not really new but I've been hibernating in my cave so I'm not that updated *big grin*) and there are products that I've been eyeing because well, bloggers are raving about it. Yes I'm looking at you 'Maybelline Velvet MATTE Liquid Lipstick'! So yeah I did a little shopping and here are the items that I got. We don't have 'Fall' in Philippines but I still love to celebrate this season and this nail polish set is perfect! Fall is all about the dark, reds, purples and a bit of nudes & creams to neutralize everything. So this color collection is on point! This is originally priced at PhP99 but I got it for a discounted price of PhP89.00. It's super cheap! I've tried other Wish nail polish and even though it's not as comparable to branded nail polish, the quality is still decent. Plus I only paint my nails like once a week so what's to complain? Aaaand my love for 'fall' doesn't end there. Of course, I have to get me some purple'ish or something bolder red color for my lipstick. 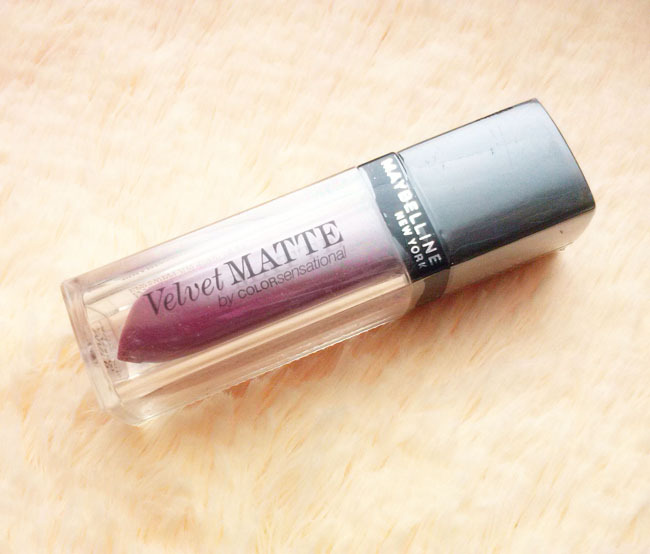 Since I've been checking out Maybelline Velvet MATTE (hey there gorgeous!) why not choose one from the collection right? Upon checking out and swatching on some testers, I fell inlove right there and then with "MAT 6". It's a gorgeous berry color and it's just the right feels for fall. I've been reading reviews about the whole Velvet MATTE collection and many bloggers are raving about it so I'm very excited to try it. I'll post my review soon! The saleslady said that this is originally priced at PhP349 but since they're having the holiday sales, it's now priced at PhP299. I have not seen this brand before so it must be new. It's a brand/collection under Watsons with "Collagen" as the key ingredient but to be honest, they had me at gold packaging. haha!Sorry if I'm being biased guys. But really, because of the packaging, it looks so highend. They have few other items but I'm curious on CC cream since I've only tried Korean CC creams before so I got one and yes people, I had to get the facial mask! You know that I'm a sucka for masks! LOL. 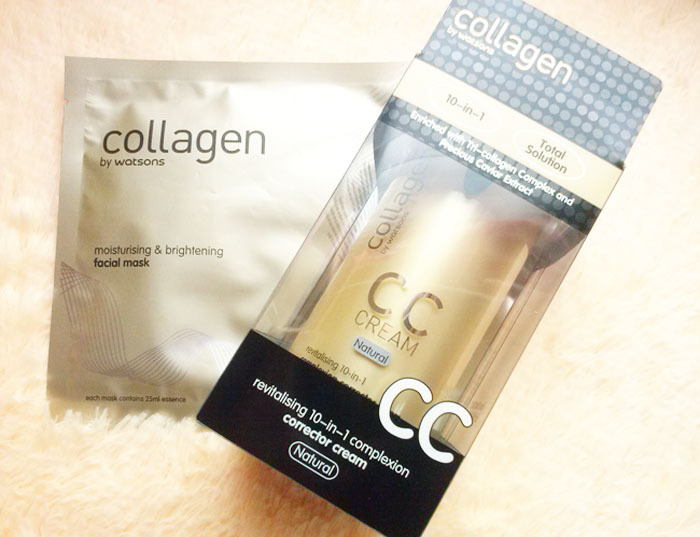 This CC Cream is originally priced at PhP499 but Watsons have a 50% discount on it so I only got it for PhP249.50. Gotta love Watsons! 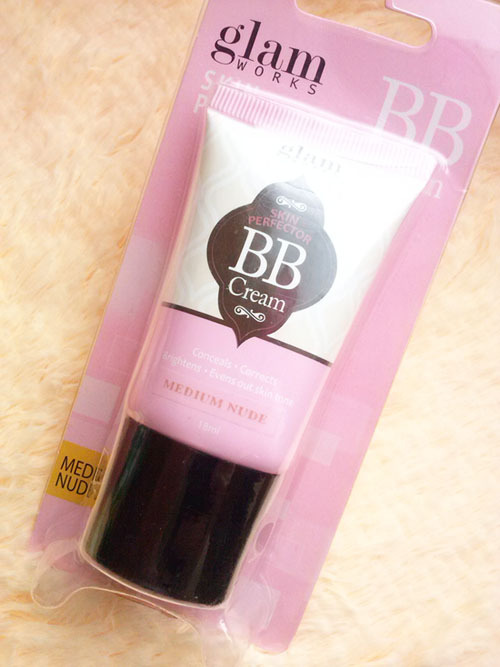 As if the CC cream was not enough, I had to get me some BB cream too! I've never seen this one before and it's so cheap so I wanna try it out. You know I love trying out affordable products (that's available locally) so you guys can also try it out in case the quality is A okay! Plus, it's pink and it's cute. 'Nuff said. Watch out for my review soon! Does this remind you of something? Something...something...ahh! Yes! That's right! EOS Lip balm. 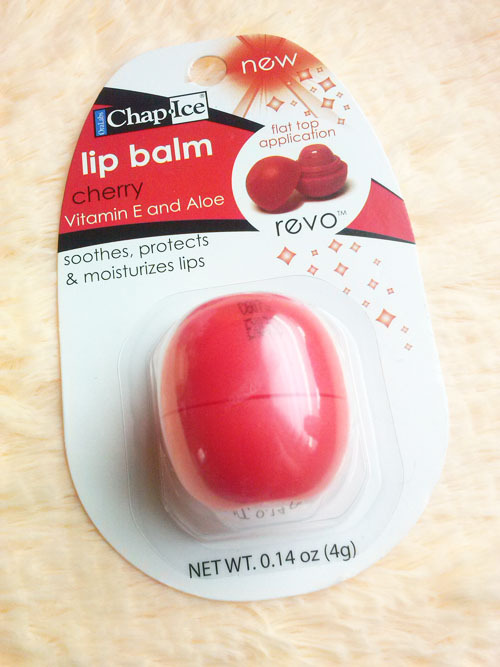 I only know one brand of lip balm that has this kind of packaging and that's EOS so when I saw this, I was really curious. I think this is also an international brand since I saw this in Amazon. Anyway, I got the mini version just to try it out if I like it. The regular size is as same size with EOS, I think it was 7g, this mini version is 4g. It also comes in Strawberry and Watermelon variant. Yum! I just can't live without my masks! 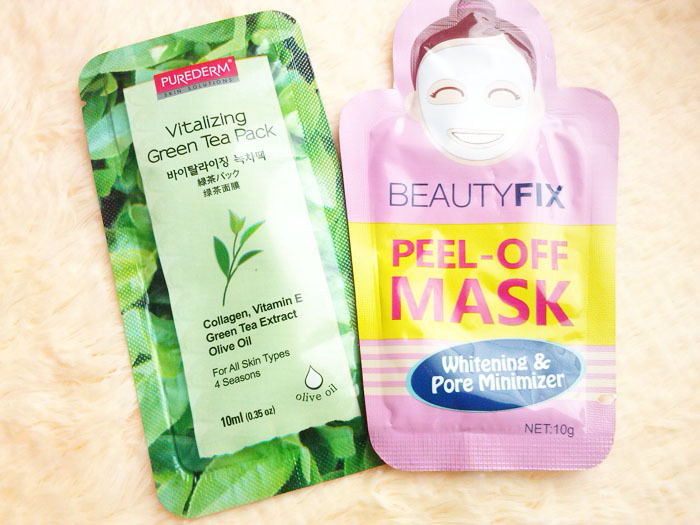 Whether it's a mask sheet or a peel-off mask like this one. I love having this mini packs just for one time use when I feel like I need to pamper myself. It's also travel friendly so I have to try different variants so I know what to bring with me when I travel. These two are last minute items. It's currently on a "Buy 1 Take 1" promo so I have to get it. These smells so yummy and you save so much. Gotta have these! What about you? Have you been to Watsons lately? On another note, my blog has been nominated for the Bloggys 2015 People's Choice awards under the Beauty and Fashion category. yay! It is such a proud moment for my blog and it's because of you guys so thank you so sooo much! This blog started out as a hobby and out of my love for makeup and skincare and I can't believe people have been noticing it. It's just so overwhelming. It is such an honor to be included in the nominated list among with all other beauty gurus which I also follow and got my inspirations from. So if you guys have time, I hope you'll support me and my fellow bloggers by voting through Facebook. You can vote for my blog though this LINK and you can check out other nominated blogs HERE. One vote, Your vote, is highly appreciated! 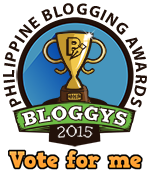 Voting only takes few seconds guys so I hope you'll find time to support your favorite blogger. 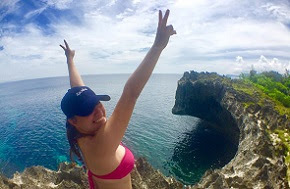 If you did vote for me, do a shoutout on Twitter or Facebook with hashtag #bloggys2015 and I'll definitely notice back! Again, thank you so much!